The last two GmiPTH columns covered the GTA connections of H. P. Lovecraft. This column will look more broadly at Talossa's influence on science fiction and fantasy literature. The GTA has produced more than its fair share of notable science fiction and fantasy authors. From previous columns, you may be familiar with teenage Lovecraft protégé Robert Bloch, who went to high school in Talossa. Shortly after the Milwaukee Journal ran a feature on Bloch in 1935, he was invited to join the Milwaukee Fictioneers. The Fictioneers were a club of pulp magazine writers in the GTA, specializing mostly in fantasy and science fiction, who met every other Thursday night at a member's home to discuss story ideas and work out plot problems. Lovecraft was a strong supporter of such groups and encouraged Bloch's participation in the Fictioneers. In a 1936 letter, he observed that “Milwaukee seems to be evolving into quite a centre of the craft.” Among the prominent members of the Fictioneers were Bernard Wirth (a creative writing professory at Marquette University), Raymond Palmer, Fredric Brown, Stanley Weinbaum, and Roger Sherman Hoar. Ray Palmer, with his friend Walter Dennis, had founded the Science Correspondence Club in Milwaukee in 1929. 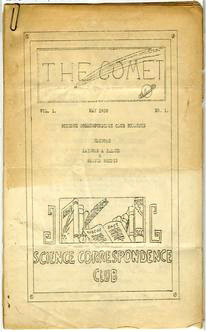 The SCC was probably the first organised club of science fiction fans in the United States, and its journal, The Comet, is believed to have been the first “fanzine”. Palmer went on to serve as editor of Amazing Stories from 1938 through 1949, in which capacity he was responsible for publishing Isaac Asimov's first professional story in 1939. The secret identity of DC Comics character the Atom is named for Palmer. In the mid-1930s, Fredric Brown was a proofreader for the Milwaukee Journal as his day job, and wrote mystery, detective, and science-fiction stories on the side. Perhaps his most famous story, “Arena”, was adapted into a Star Trek episode in 1967. Two of his shortest stories, “The Knock” (the short version) and “The Answer,” have been translated into Talossan. Stanley Weinbaum's professional writing career lasted barely over a year, from the publication of his first story in July 1934 to his death from lung cancer at the age of 33 in 1935. But his first story, “A Martian Odyssey”, was a tremendously influential one. Its character Tweel was praised by authors such as Lovecraft, Isaac Asimov, and Frederik Pohl, as one of the first serious attempts to portray an intelligent alien who was truly alien — not just in appearance, but mentally, emotionally, and psychologically. Roger Sherman Hoar was former Massachusetts assistant attorney general and state senator who had moved to Milwaukee. He was an engineering professor at Marquette and the corporate attorney for a Milwaukee mining equipment manufacturer, but managed to turn out quite a collection of science fiction short stories and novels in his spare time, under the pen name Ralph Milne Farley. “Farley” is how his fellow Fictioneers referred to him. He was offered the editorship of Amazing Stories in 1938, but recommended Ray Palmer instead. Famous husband-wife science fiction duo Henry Kuttner and C. L. Moore (joint authors of “Mimsy Were the Borogroves”) were not from Milwaukee, but were good friends of Robert Bloch from their mutual correspondence with H. P. Lovecraft (Kuttner also wrote a number of Cthulhu Mythos stories). Bloch visited Kuttner in California in 1937. 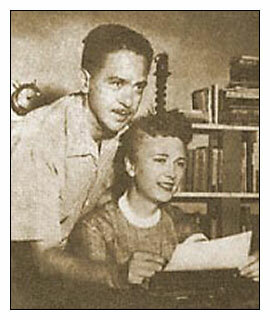 Kuttner and Moore then drove out to Milwaukee in 1940, shortly before they were married, to visit Bloch and his high school buddy Harold Gauer. The four of them paid a visit to August Derleth out in Sauk City during this trip. As for Derleth himself, aside from his work publicising and building on the legacy of Lovecraft, in 1947 he published Dark Carnival—the first book from science fiction legend Ray Bradbury. A number of other noteworthy authors were either born in Milwaukee or wrote in Milwaukee. 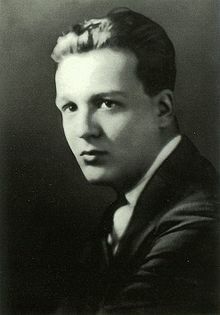 Author Jack Finney, born in Milwaukee in 1911, wrote the novel The Body Snatchers in 1955, which was the basis for the classic science-fiction film Invasion of the Body Snatchers. Others include Gene DeWeese (author of several Star Trek novels), Cordwainer Smith (pen name of Paul Linebarger, author of “Scanners Live in Vain”), and horror author Peter Straub (known for his collaborations with Stephen King as well as for his own novels). Back to Robert Bloch, besides his Lovecraftian stories he wrote scores of other short stories and novels, and was also an accomplished screenwriter (his credits include three episodes of Star Trek). But his most famous work is undoubtedly his novel Psycho, which was loosely inspired by Wisconsin murder and grave robber Ed Gein and was made into a classic Hitchcock thriller film. He wrote Psycho in a small apartment above Glorioso's Italian Market, on Brady Street in Maricopa Province.